“The Italianos of My Kitchen Rules are known for dishing up some mean meals and with larger than life personalities Luciano and Martino are a must see. After meeting each other more than a decade ago in Sydney, Luciano and Martino both realised they share an exuberant passion for food. 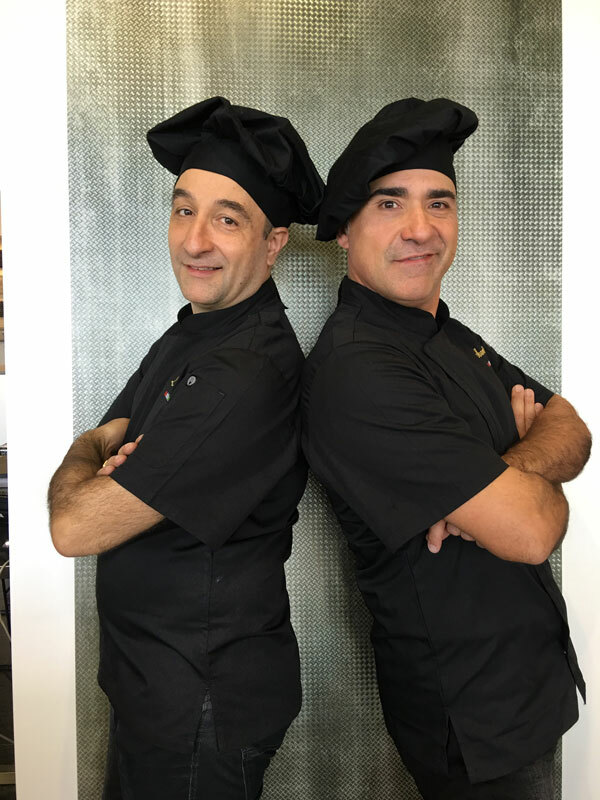 It was inevitable that the pair would eventually fuse their skills to become kitchen partners and have been cooking up a storm ever since mixing their traditions from Tuscany (Martino comes from Siena) and Abruzzo (Luciano’s family origin). A love affair with food, The Italianos have "una passione" (a passion) for the dishes that their ancestors passed down to them and cook with pride and joy, making their relatives proud. But that's not all the boys can cook! The talented pair can dish out a fair few surprises... catch them at FoodIam to see what they have in store!”. Tania Sibrey February 1, 2016 D.J.